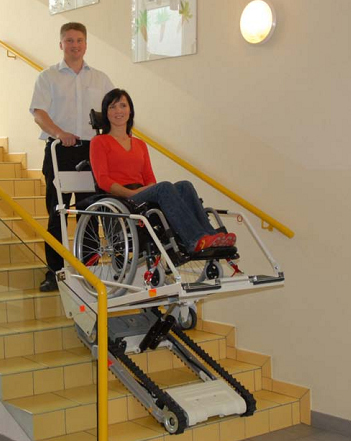 The stairclimber Public is the world’s only portable inclined platform lift. 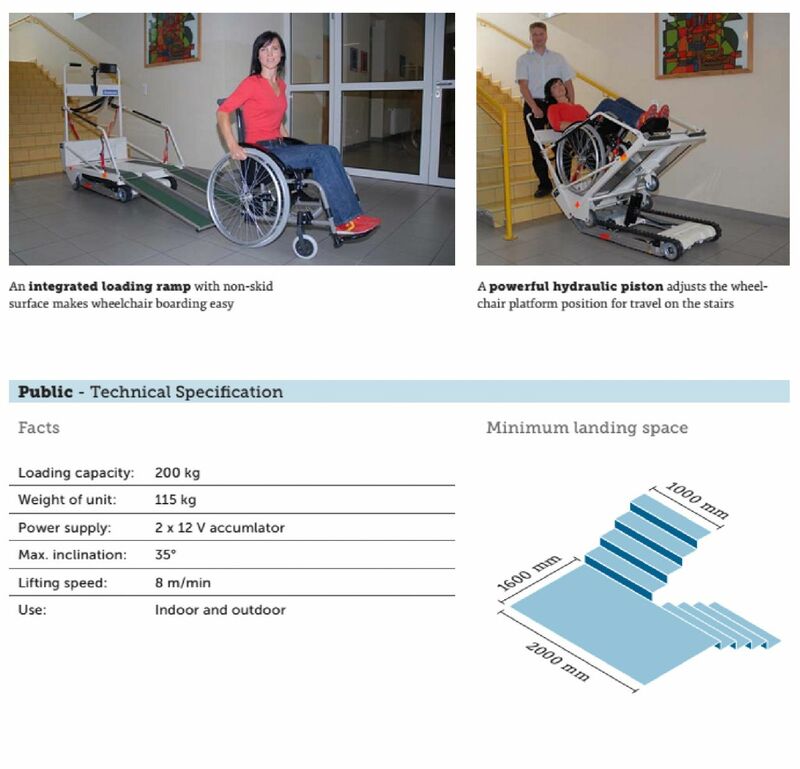 The unique platform design will accommodate all types of wheelchairs including power, child sports, and conventional adult wheelchairs. 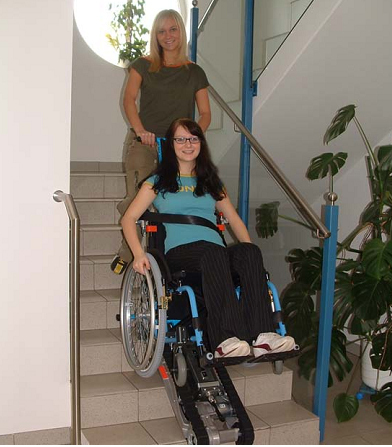 The Public stairclimber is ideal for public and residential buildings and a cost effective alternative to conventional platform stairlifts. 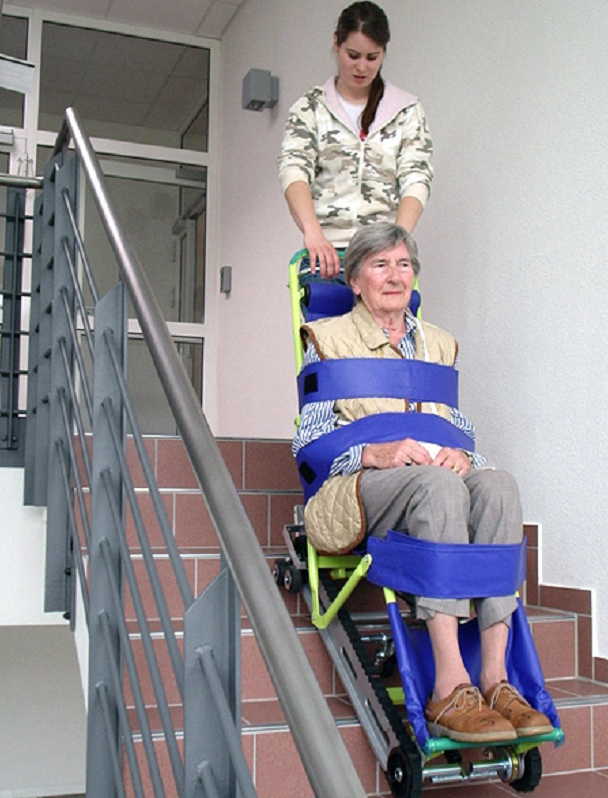 It’s simple to operate, robust and incorporates many safety features. 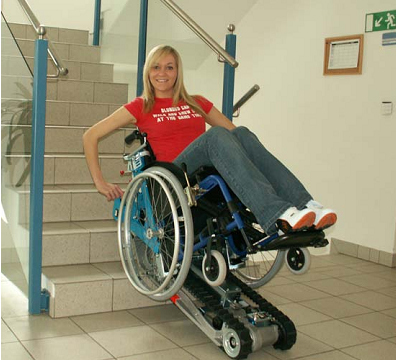 It can be used on indoor and outdoor stairs and can also be transported between location to be used on different staircases.